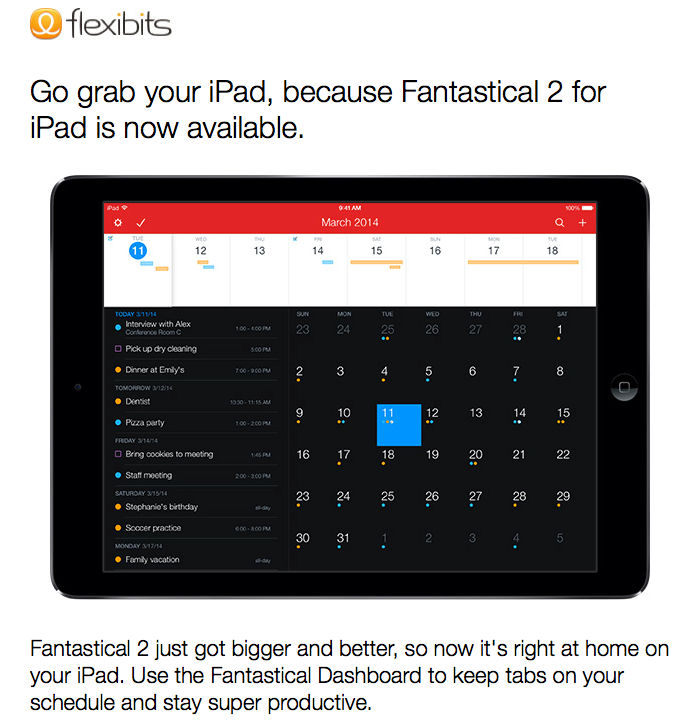 After last month’s teaser, Flexibits has released Fantastical 2 for iPad! 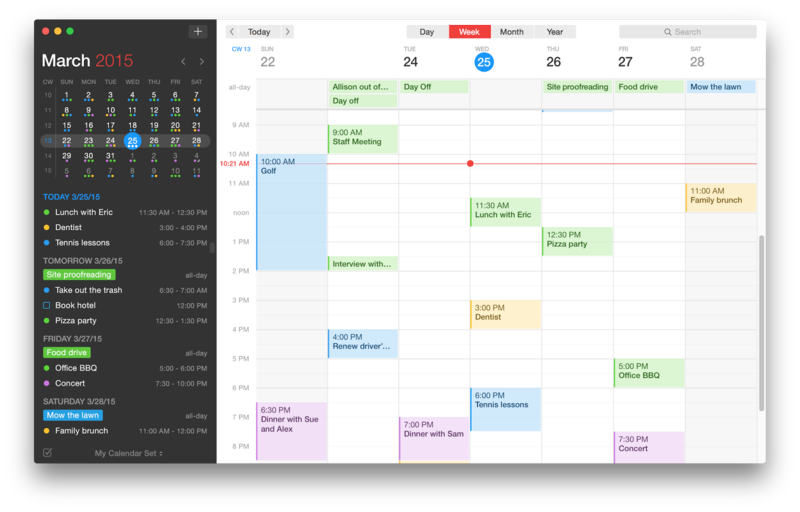 Fantastical 2 for iPad is everything you love about Fantastical on your Mac or iPhone now on the iPad’s larger canvas. 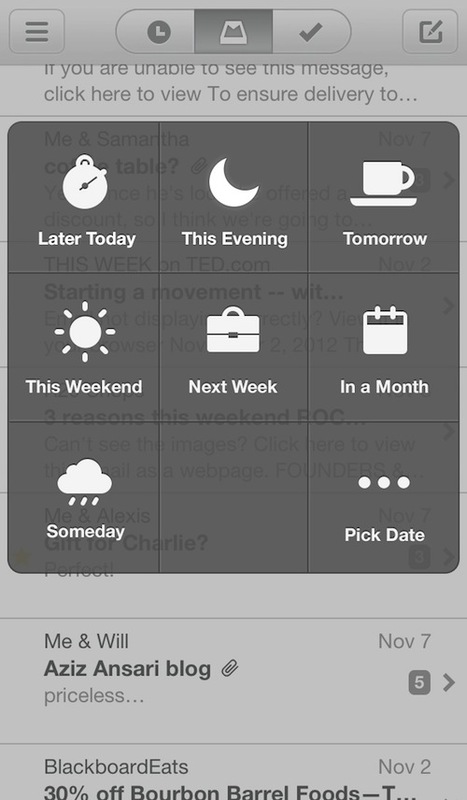 This is really great news because I’m not really a fan of Apple’s iOS Calendar app in it’s new iOS 7 minimalist design. 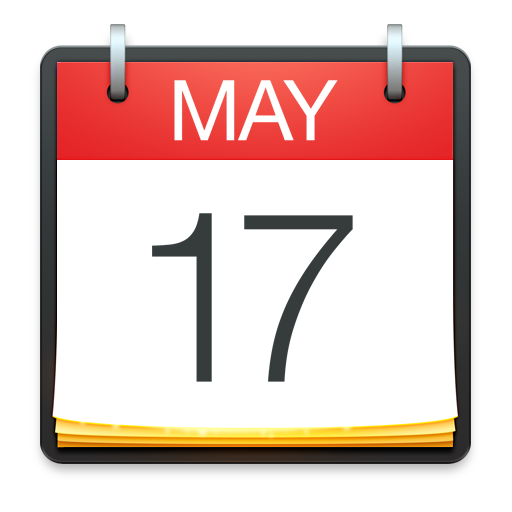 Unfortunately, Flexibits did not make Fantastical 2 a universal app, which means you will need to buy copies for your iPhone and iPad separately. Fantastical 2 for iPad is on sale now in the App Store for $9.99 and is compatible with any iPad running iOS 7.0 and later. 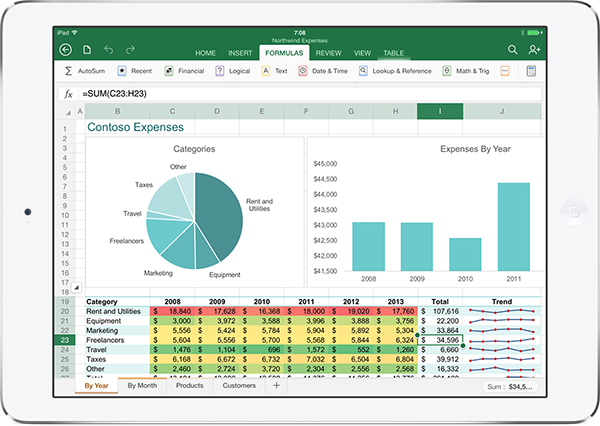 In a bold move yesterday, Microsoft, lead by their new CEO Satya Nadella, launched Microsoft Word, Excel, and PowerPoint for the Apple iPad. I’m not talking about watered down, half-hearted, sort-kinda Office applications, I’m talking about the real, full blown, well featured, iOS native Office applications for the iPad. Did I mention this is Microsoft’s Office on the iOS platform?! 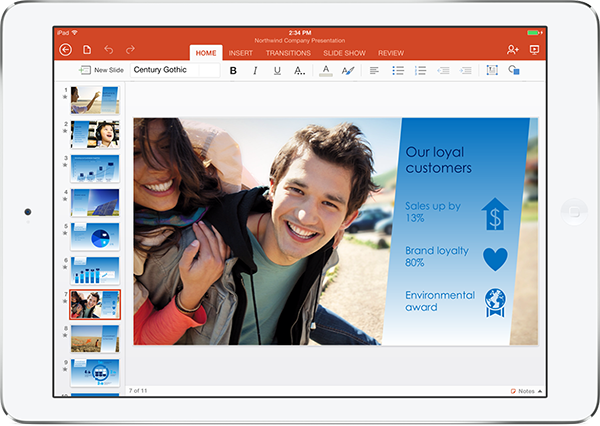 To see Office in action on an iPad, you can watch Microsoft’s introductory video. I’m really excited about having Word, Excel, and PowerPoint on my iPad. The apps look and feel great! Taken together with the already released OneNote and OneDrive (formerly known as SkyDrive), Microsoft has seemingly overnight, empowered millions of iPad owning Office users around the world. So what do you get? Available now in the iOS App Store, users can download, free of charge, Word, Excel, and PowerPoint for the iPad. The apps are free and will enable anyone who installs them to read Office documents. If you just happen to be an Office 365 customer, you can sign in to your account from the Office apps on your iPad and instantly have the ability to edit your documents. You will need to have an iPad running iOS 7.0 or later and to edit documents, a Microsoft Office 365 Home subscription. 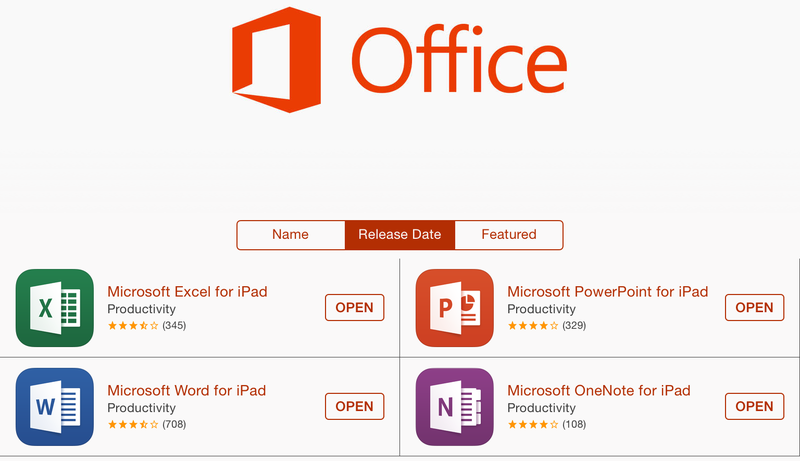 Microsoft’s Office Apps for iPad are available now on the App Store, or you can use these handy download links. 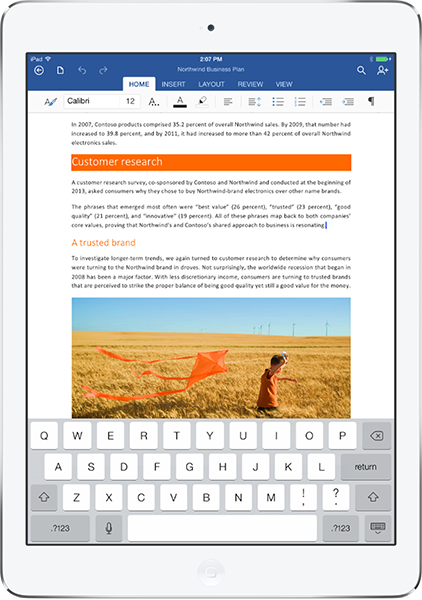 You can read more about Microsoft’s Office Apps for the Apple iPad on the Microsoft blog. Yup, you read that right! 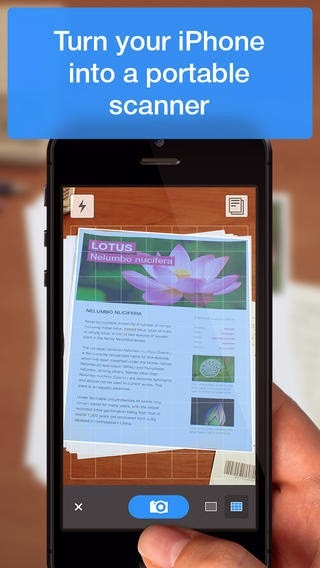 As part of Apple’s iOS App of the Week promotion, you can snag a copy of Readdle’s Scanner Pro, normally $6.99, for free this week. Scanner Pro is one of those applications where it looks cool, but I wasn’t sure if it would fit into my workflow. Now, with Scanner Pro free this week only, I don’t have to worry about paying the relatively ‘expensive’ $6.99 to find out. I downloaded Scanner Pro and tested it out. It’s super simple to use. You install it, configure iCloud sync support, and then take your first scan. It’s that easy. Once you’ve ‘scanned’ your document, you can send it on to be printed or faxed (who’s still using fax anyway?) or uploaded to a WebDAV server, Dropbox, Evernote, or Google Drive. You can also send your scanned document on as an email attachment. If you like to use productivity apps on your iPhone, iPad or iPod touch, you will want to grab a copy of Readdle Scanner Pro this week! For more details, visit the iOS App Store. Earlier today, Orchestra Inc’s new productivity app, Mailbox, landed in the App Store and reservation requests started rolling out to people who have been (digitally) standing in line to get their download and activation. Mailbox is an email client for iPhone that integrates task management for a truly unique and refreshing approach to managing your Google Gmail email account and the tasks that need to be taken care of as a result of the email. “It’s how email on the phone should work: Mailbox checks your email from the cloud and delivers it to your phone with lightning-fast speed. A colorful swipe-based UI makes processing a delight. And unique “snooze buttons” let you put off messages until later. Mailbox will work like you would expect an iOS mail client with a threaded message view that looks clean and easy to read. The neat twist comes in when you are in the inbox view where you can swipe messages left to right to mark that message as “done”. Additionally, you can manage messages in your inbox like a to-do list and “tag” messages as tasks to be followed up on later that day, later that evening, tomorrow, someday (my favorite), a date you specific, etc. 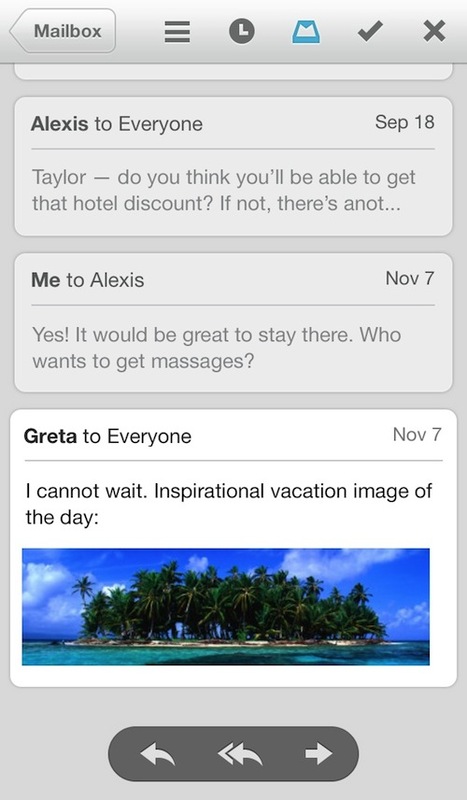 Want to see Mailbox in action? Hit up the video at the end of this post. This really does seem like a cool way to approach your mailbox, especially if you are a “Getting Things Done” kind of person. 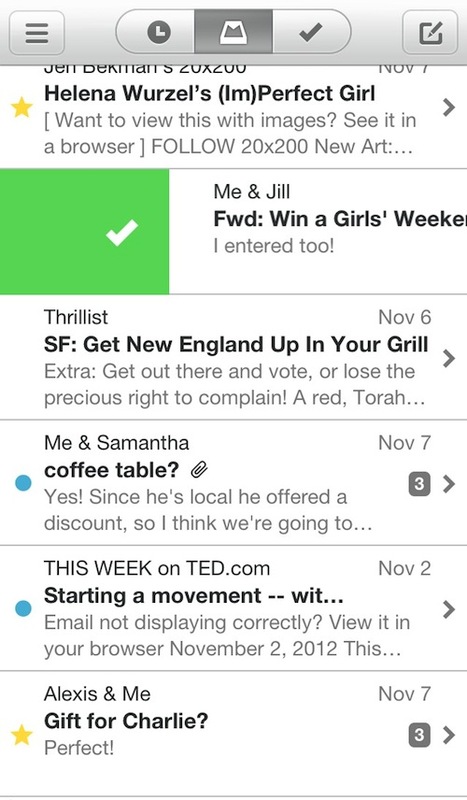 Mailbox is a free application today. The plan is to keep the app free and in the future there will be paid set of premium features that you will be able to upgrade to. While the app is free to download today, according to Orchestra, clients will be rolled out based on a first come, first served reservation system. As of about 5:30pm eastern time today, I was 134,171 in line. There was another 215,781 in the queue behind me. For more information on Mailbox, head over to the Mailbox website. 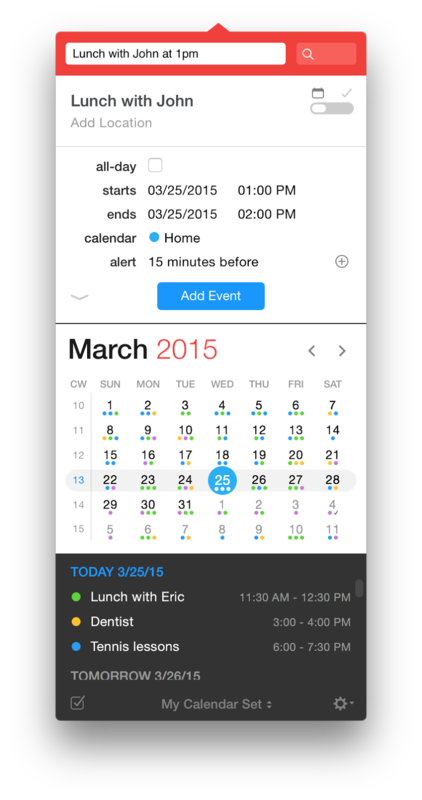 If you are ready to download Mailbox, and reserve your spot in line, head over to the App Store.